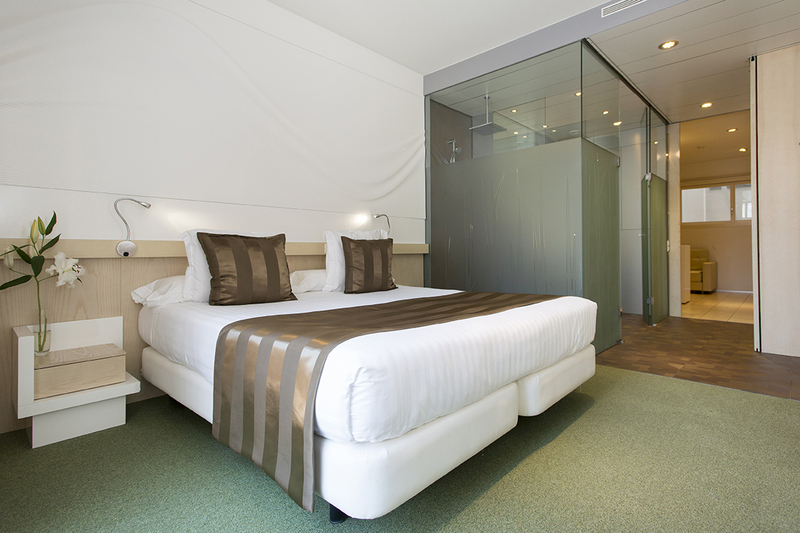 Ako Suite Hotel has 28 exclusive suites of 40 m² with all the comforts of a home, but with the 24-hour service of a hotel. All suites are designed and equipped with modern high quality facilities. They have air conditioning and heating, living area with double sofa bed, room with king size beds and desk, free Wi-Fi, flat screen TV (x2), modern kitchenette, dining area, bathroom with bath or shower and amenities. 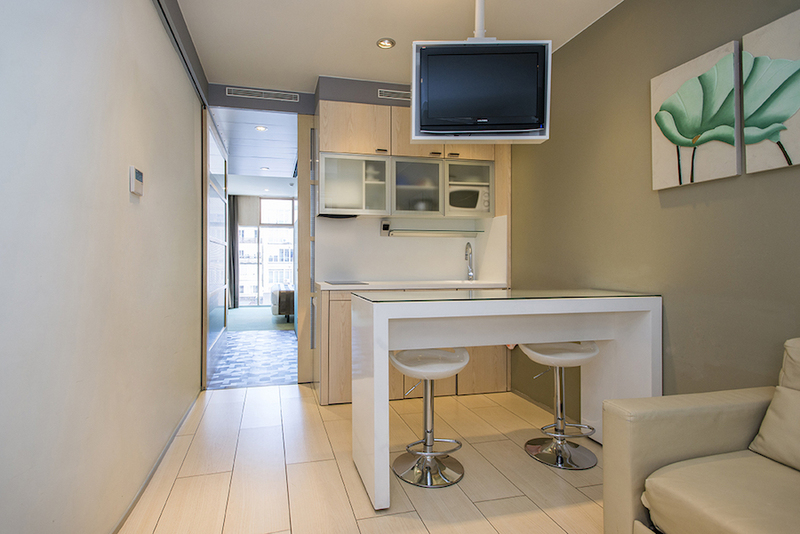 If you wish to request any other need for your apartment such as additional single beds, cot or high chairs for the little ones, contact the commercial team of Ako Suite Hotel. The apartment with kitchen has 40m² with natural light and minimalist design decorated in light tones and luxurious details. Our suite for 3 adults is a spacious and pleasant apartment of 40m². The suite for 4 adults is a spacious and comfortable room for trips with family or friends.